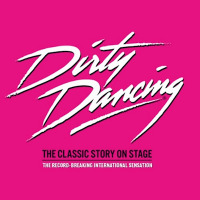 Long after baby was NOT put in a corner and all the watermelons had been carried, the stratospheric 1987 hit that was 'Dirty Dancing' continues to give audiences worldwide the time of their life (oof) with an extraordinarily successful stage version. Making its stage debut in Sydney in 2004, the story of Johnny, Baby and their summer at Kellerman's resort in New York State first came to the West End at the Aldwych Theatre in late 2006. After a record-breaking five years at the Aldwych, the show closed in July, setting off on a vast, two-year tour. In every corner of the land, the 1987 film has continued to find a new audience who are fans of the timeless soundtrack and the movie's somewhat kitsch eighties' version of sixties summercamp America. The film score of course features heavily in the musical, with a few additional numbers, and includes the oddly incongruous (for 1963) '(I've Had) The Time of My Life' which accompanies the pant-wettingly exciting finale. Two years on from the sad death of Patrick Swayze, who played Johnny Castle in the original film, performances and memories of Dirty Dancing have become ever more poignant and more than simply a wistful glance back. The film remains high on 'all-time' polls and favourite lists everywhere, and this is reflected in the astonishing popularity of the stage show. And, post-West End, the UK and Ireland tour is indeed huge. Dirty Dancing is currently playing at the Bristol Hippodrome, before moving onto Glasgow (from 19th October), Manchester (from 22nd November), Dublin (from 17th January 2012), Aberdeen, Southampton, Milton Keynes, Leeds, Birmingham, Norwich, Sunderland, Liverpool and Cardiff, before finally hitting Edinburgh from 4th December 2012 until 12th January 2013. Most venues are hosting at least 15 performances. We have tickets available for the tour available now, with prices starting at around £30 for UK shows and from €45 for Dublin.